The Circuit is a unique track in the north-west of Spain, qualified to hold regional, national and international races, not to mention first-class car and motorcycle testing procedures. A varied track has been designed to create distinct sensations for drivers thanks to the combination of fast, slow and more technical stretches. 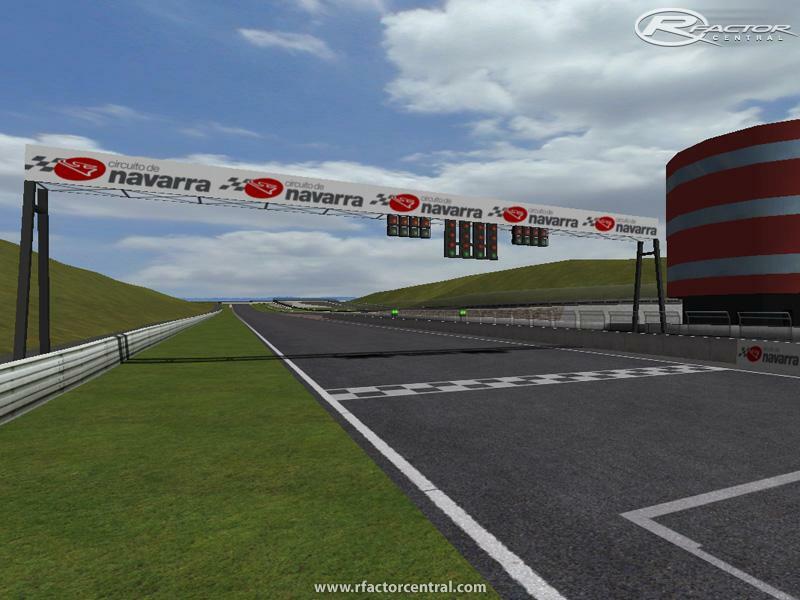 There are currently no setups for Circuito de Navarra. Add a Setup. In the clip the track looks nice! Thank you very much,i have version 1.0.now 1.1.thank's again. I already race on the real track, this version is not bad but the other version by FanLebowski is better (more realistic). Já vi algumas corridas na televisão neste novíssimo circuito espanhol e, depois de experimentar a tua versão virtual, apenas posso dizer que está mesmo muito boa. Parabéns Mário!! In gbh. file - Location is not Australia. Location is Los Arcos, Spain. But congrat for work!